We have FINALLY seen the most dazzling film of the decade! 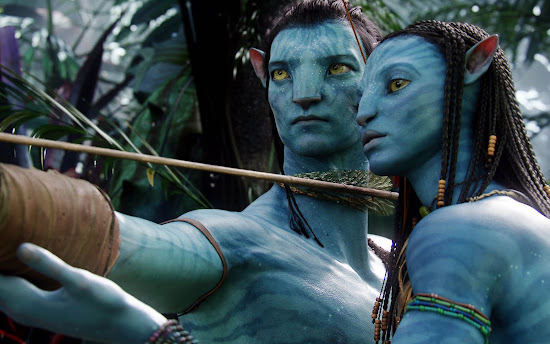 In Avatar, everything feels real and it's as if you're immersed in the action. It's an overwhelming feast of visual artistry unlike anything you've ever seen before. If you haven't already done so, go and see one of the year's most exhilarating films. Enjoy the Avatar's theme song, I See You, by Leona Lewis! Only fitting that you have the theme music for Avatar after seeing it in 3D. Is it really that good Mon? good for u te mon!!! Haunting song, i love it! I will have a movie marathon when B is all okay…u waaaaaaatch me la LOL! Yay my first chop, thanks sweetie! Awesome song selection Mon. :D Happy Monday! haven't seen the movie yet, but liked the song. Love this song! Love this song! After repeated listening, it gets better and better. how did you find the movie so far? we dun have 3d here in dumaguete city..huhuh.. toooooooo bad! I agree with u completely! Great movie! some may felt like an animation video game but there's some message in this movie! ;) ;) what do u think?